Made of hardened and light-weight pipe. Joints are completely press-fit and welded. 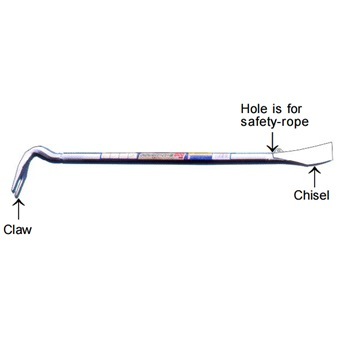 Round handle wrecking bar. Made of hardened and light-weight pipe. Joints are completely press-fit and welded.